Speech and Language Therapist – How To Choose The Best One? If your child has symptoms of delayed speech development you are probably concerned. The first step is to talk to the pediatrician about your concerns. 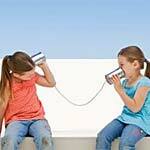 The pediatrician can tell you if speech development is progressing normally. If there are no medical causes, like chronic middle ear infections or deformities, ask for a referral to a speech and language therapist. Early intervention speech therapy yields the best results for everything from stuttering in children to fluency disorders like apraxia. Delayed Speech in Toddlers – What To Be Aware Of? As a parent or caregiver of a toddler, you need to know what is normal and what could represent some kind of developmental delay. Delayed speech is one area of concern. The following is a general guideline for what you can expect when it comes to speech development. If the child is not on target or close to it, ask the pediatrician to make a referral to a speech and language therapist for evaluation. Early intervention speech therapy can make a huge difference in the child’s life! Developmental apraxia of speech is a disorder in which children have a difficult time getting all the body parts involved in speech to work together automatically and smoothly. Although it is impossible to diagnose verbal apraxia until a child is old enough to follow commands and interact with the evaluating speech and language therapist there are some early symptoms. 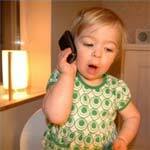 Affected children may not babble or coo during infancy. My Child Has a Language Delay – What to Do? If your child has a language delay then this can be a big cause for concern or worry, and you may wonder what to do in this situation. Determining whether or not your child has any speech impediments is the first step, and if there is a language delay there are a number of options available to help treat this problem. In some cases the child may live in a home where English is not the first language, and therapy for accent reduction may be needed. In other cases language may be delayed because of the hearing problem, serious illnesses, or a lack of interaction with adults which provides the opportunity to talk, as well as many other causes. When it comes to the best speech therapy techniques which ones are the most effective and get the best results? These techniques are used to help treat speech disorders in children, and determining the best ones to use will depend on a number of different factors. Speech therapy techniques are usually used to treat three main types of problems, and these include articulation difficulties, fluency problems, and resonance issues. The therapies are classified into three main categories, and these are articulation therapy, language intervention therapy, and oral motor therapy. A combination of techniques from any or all of the categories may be used in a specific situation, depending on the needs and speech difficulties of the child. There may be a number of reasons for seeking accent reduction methods. Some of these techniques are similar to that of the pediatric clients where early intervention speech therapy for articulation, tongue thrust, or phonological disorder are among the reasons for therapy. For some, accent reduction methods will serve as a positive purpose toward any career. With the current unemployment rate, heavily accented individuals will take measures to sound as professional as possible. Accent reduction may be the very solution which will raise the bar of job competitiveness for such individuals. When communication abilities are compromised because of a phonological disorder such as verbal apraxia or cluttering, connecting with others on a daily basis becomes a hardship. For a child, the development of emotional and social skills will be difficult. Early intervention speech therapy will bring a positive outcome for children with delayed speech, and also for stuttering in children as well. Although many children born with cleft palate may develop normal speech by age five, cleft palate speech therapy< is also an early intervention speech therapy which will have a positive effect on the child with such a condition. Whatever the reason for a speech deficit in a child, early intervention speech therapy can only enhance the level of communication in a child.